Middleburgh- A beautiful spirit found peace from her failing health, in the warmth of her home on Wednesday, April 3, 2019. Carolea Hillert Rooney Wilkens was born in Jamaica, NY on October 27, 1935 to Rita (Berkelmann) and Kenneth Hillert and grew up in New Jersey. She graduated from St. Cecilia High School in NJ and continued her education at Washington School for Secretaries in NYC, Farleigh Dickenson University in NJ and the College of St. Rose in NY. 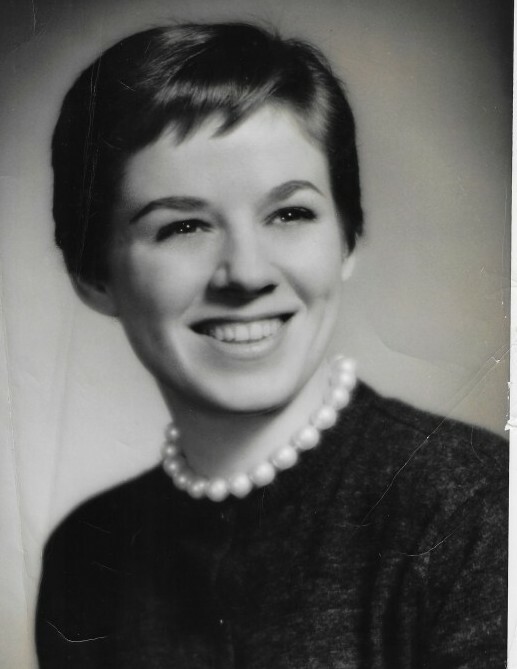 She began her professional secretarial career at General Motors Overseas Operations in NYC, then on to Cornwall Central School District, Cornwall, NY. After moving to Cooperstown, she went to work at the NYS Historical Assoc. and later became the Law Librarian for the NYS 6th Judicial District, also in Cooperstown. A true people person, Carolea enjoyed meeting new friends and hosting guests at her bed and breakfast, Hill and Hollow Farm in Cooperstown, which she operated for ten years and most recently she was a guide at Lansing Manor in Gilboa. Generous with her time and talents, she enjoyed giving back to her home communities and was an active member of the Cornwall and Cooperstown Booster Clubs, a 4H Club Leader in Cooperstown, a member of the Middleburgh Century Club, the Schoharie Valley Garden Club and a member of the Middleburgh Rotary Club for over 20 years. Carolea’s zest for life, family and friends will be dearly missed and treasured along with the paintings she did in her leisure and her loving care in her gardens. The approaching promise of spring will also bring blossoms to her favorite flora, the same beauty that blossomed in her smile and spirit. Along with her parents, she was predeceased by her first husband: Patrick J. Rooney in 1993 and her brother: Kenneth A. Hillert in 1999. Loving her forever are her husband: Garry F. Wilkens, of Middleburgh, whom she married on June 21, 1997; her sons: Patrick J. (Laura Moret) Rooney of Edina, MN, Timothy K. (Lisa) Rooney of Duxbury, MA, Sean A. (Annick) Rooney of Seattle, WA; stepsons: Timothy (Julie) Wilkens of East Berne, Michael (Susan) Wilkens of Middleburgh; grandchildren: Patrick J., Brendan J., Conor J. Caitlin A. and Eamon J. Rooney and also Danielle (Eric) Radden, Zachary Wilkens and Justine Wilkens and great-granddaughter: Remi Scarlet Radden; sister: Denise (John) Ferri; nephew: John Ferri and countless beloved friends and extended family members. A Memorial Mass will be celebrated at 11:00AM on Tuesday, April 9, 2019 at Our Lady of the Valley Catholic Church, Main Street, Middleburgh with Fr. Thomas Holmes as celebrant. Spring inurnment will be in Middleburgh Cemetery. Coltrain Funeral Home, LLC of Middleburgh is honored to be caring for Carolea and her family.